On June 4th, Technology teacher Jacob Tanenbaum, from Cottage Lane Elementary School in Rockland County, New York will be traveling to Matinicus Rock, Maine from June 4 – 12 to work with the Audubon Society restoring a Puffin Colony to its former habitat there. Use this teaching and learning space to follow along. The space will consist of a blog and several pages about the project. Each day, Mr. Tanenbaum will create a log, post photos, possibly video, and write lessons from the island. Students are welcome to follow along and to comment back. Please note, comments to the blog will not appear until after they have been approved by a teacher. Mr. Tanenbaum connected with Project Puffin while traveling in Maine over the summer with his family. Mr. Tanenbaum and his two sons went on a Puffin Cruise. 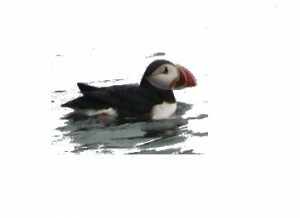 Which is a boat ride to a puffin colony on an island off-shore. There Mr. Tanenbaum met the Audubon Society naturalists and began the connection that led to this project. Students of all ages are welcome to learn and work on the blog. Follow along and ask questions to Mr. Tanenbaum or to the scientists on the project. Please note, any comments to the blog will not be visible until they have been approved by one of the blog managers. Because the blog is public and will be used by people outside of the school environment, students should identify themselves ONLY by their initials and their classroom teacher’s name. For example LP in Mr. Smith’s class.